Read how one women’s inner-self awakens to unexpected and frightening consequences, or how a charismatic half-breed thief is forced to strike a deal with a pen-stealing imp. Read about a mother as she struggles to cope with a deadly, satanic bargain, and a sword-wielding anti-hero as he returns out of exile to face his demonic fate. When I decided to read and review this anthology of demon stories, I didn’t expect to actually like any of them. Yes, I was interested in the concept of a book like this, but didn’t think I would actually like it as much as I did. That being said, not all of the stories engaged me. In fact, a few of them were pretty boring. My favorites were The Serpent’s Kiss by Krista Walsh, City of Lights and Stone by Laura Diamond, The Cost of Glory by Edward Drake, and my ultimate favorite, A Mother’s Love by James M Mazzaro. I was thoroughly annoyed when this one ended because I wanted more! Of the nine stories, it was the most engaging and pulled me in right from the jump. My praise for these four particular stories does not negate the fact that every author in Day of Demons should be commended on a job well done. The level of writing skill throughout the book was impressive and the way they all managed to use the complex subject matter in different ways was fantastic. 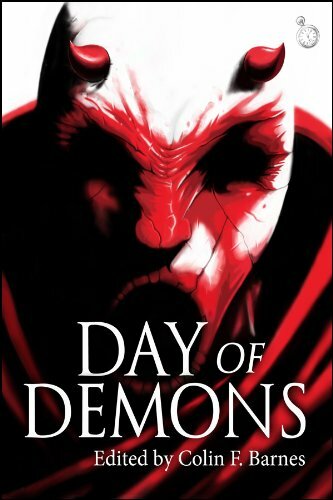 Demons exist in many forms and Day of Demons explores that in some pretty cool ways, even if some of the stories bored me. Overall, it was a great read that I would recommend to fantasy readers who love snarky, conniving, self-righteous demons.